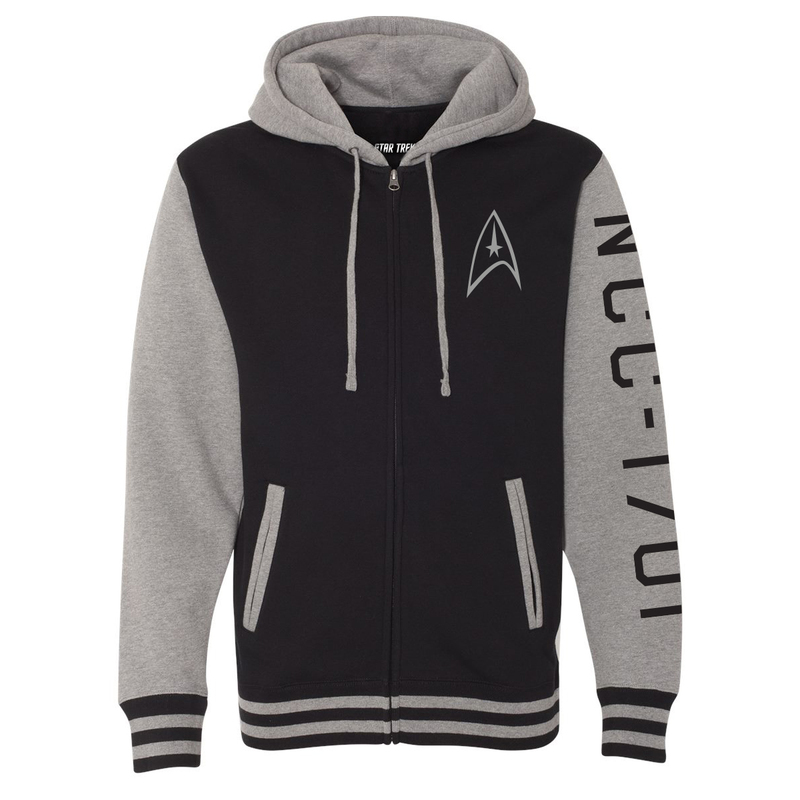 Get the Star Trek The Original Series Enterprise Varsity Zip Hoodie. This navy gunmetal heather full zip hoodie features The Original Series delta embroidered on the chest, the ship number on the left side of the jacket and striped cuffs for some serious varsity style. Great jacket. Thick, not thin material which is great for Fall, Winter and Spring. Great quality! Beautiful and soft jacket. Incredibly warm for a hoodie. The number is more on the outside of the arm, but that was a minor thing. Printing is high quality. Copyright © 2019 All Rights Reserved. 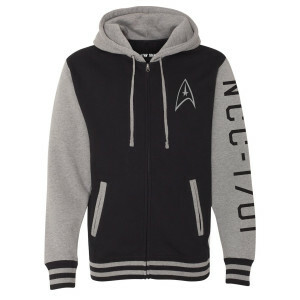 Connekt, Inc., is the seller of all Star Trek merchandise and is solely responsible for all aspects of your purchase.